Disclaimer: This post is sponsored by Super Simple Online. As always, all opinions are my own. If you find yourself short-order cooking and amidst the stressful dynamics of making everyone a separate meal, you need to tune in to today's post. Over on the Super Silly blog, I share how to How to Make One Meal for the Whole Family. With five considerations to avoid short-order cooking or fights over the food that is offered, this post will walk you through some of the steps to establishing set a new precedence at family meals. These act as a framework to help you begin serving one meal for the whole family. I am confident that these five steps can help families find newfound freedom with what to offer at meal times, making the shared experience at the table a happy and healthy one! Which one will you start implementing tonight? I spent the first half of 2018 sharing family-friendly meal plans on the Veggies & Virtue blog. I also sent bonus content each week to subscribers on serving these up to more apprehensive of eaters, using my "Love it, Like it, Learning it approach to deciding "what to offer" so that everyone has something at the table they enjoy! To join the thousands of mamas who receive this newsletter each week, join here! Otherwise, review the menus for Winter and Spring by clicking on the thumbnails below. You will find a variety of ideas of family-friendly meal ideas, all of which can be offered as one meal for the whole family! Looking for more inspiration on how to offer one meal to the whole family? Be sure to follow #onemealtwoways each week on my Instagram! With each, you will see how one meal is offered two ways for my child and my preferences and on each of our plates! Do you know what you are making for your Memorial Day festivities yet? I love holiday weekends in the summer when everyone is outside, kicked back, and enjoying the warmer weather. Outside of tasty ideas for what's on the menu (shared below! ), I have some other considerations for How to Best Handle Holiday Picnics, Summer Potlucks, and Picky Eaters that may help you with "what to plan" for your weekend fun. Depending on what your plans for the holiday weekend, you will find a variety of crowd favorites on this week's menu. Ranging from pasta salad to cobb salads (both of which make great sides to bring to any potluck!) 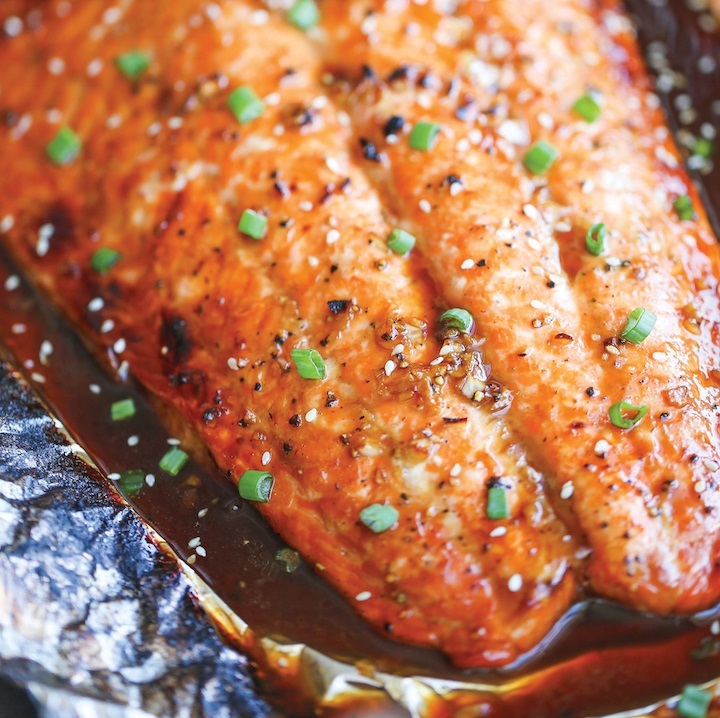 or grilled chicken or salmon that can be made as a larger fillet (if you find yourself hosting! ), I hope some of the ideas below get you ready for next weekend and the togetherness that three-day weekends bring! A special thanks to Fruit Bliss for sponsoring this week's meal plan! Family Meal: Baked cod, roasted asparagus, this Tuscan Pasta Salad made with these Organic Turkish Tomato Halves from Fruit Bliss (Sponsored), and mandarin oranges for dessert. Parent's plate: Similar to my child's although I ate the savory options together and saved the mandarin oranges for last. Notes: My oldest tends to prefer no sauce on her noodles, nor other ingredients mixed in so we offered the pasta salad both plain and composed as the recipe calls for so both girls could try it either way. They also just tried their first mandarin oranges recently when eating out on vacation and really liked them. Although they aren't a fruit-alternative we will have often (due to them not being as nutritionally-dense as other options they also enjoy), we serve fruit for dessert Sunday through Thursdays so it was a sweet option the girls enjoyed alongside our family meal. Of note, both girls tried the learning it foods but neither "ate" them, per say beyond their initial touch, lick, or taste. This post is sponsored by Fruit Bliss. All opinions are my own. Parents are always asking me how to get their kids to eat more vegetables or how to expand on a child's existing favorite(s) in a few more ways. Especially with smaller children who can't (or won't!) crunch through raw produce as well, finding safe and enjoyable veggies can be a bit of a trick. That's one of the reasons I love the products by Fruit Bliss, including these Organic Turkish Tomato Halves. If you saw me share any other of Fruit Bliss's organic dried fruit on my Instagram stories, you might remember my sharing how their products were significantly more tender than most dried fruits I find at the grocery store. This not only makes them more flavorful to eat, but as a mom with young kids it also helps reassure me that my girls can safely chew the foods (which isn't always the case with dried fruit as it can be a choking hazard to small children). The dietitian in me also appreciates that the ingredient list is simple and preservative-free to include only organic sun-dried tomatoes, water, and salt. At lunch: Build your own English muffin pizzas. While you make them, have a taste test of fresh tomato slices, cherry tomato halves, pizza sauce, and these sun-sweetened tomato halves. Talk about how pizza sauce is made from tomatoes and all the different ways you can enjoy these, including diced up as a pizza topping! At dinner: Use them in place of sun-dried tomatoes in the Tuscan Pasta Salad recipe shared above! We will be making this again for a Memorial Weekend backyard picnic. When doing so, you can make this assembled in advance (as advised below) or offer it up deconstructed with the noodles, sauce, and tomato halves separate and let them self-toss their pasta salad so they can try the ingredients individually. Doing this, they may learn to like the tender, easy-to-chew nature of these sun-sweetened tomato halves much more than they do their raw or sun-dried counterparts! To get your Fruit Bliss Organic Tomato Halves, be sure to enter my giveaway over on my Instagram account! Otherwise, you can go ahead and order them online or find a retailer for Fruit Bliss products near you. Pasta salad is one of my favorite items to make the day ahead and keep in the fridge - either for lunch leftovers during the week or to easy grab and go after wrangling our kids and packing up what feels like a million items for a picnic or play date! If you want an easy idea to take (or make!) this Memorial Day, go ahead and order these Organic Turkish Tomato Halves. Then make this pasta salad up to 24 hours in advance and you'll have the perfect side dish to add to any Memorial Day menu. Summer is nearing in, the kids are almost out of school, and third trimester is creeping up on me! This has me planning and preparing for the next few months before baby #3's arrival in hyper-efficiency mode! I am delighted by the overwhelming response to my weekly meal plans and how many of you have shared either publicly (on social media) or privately (via sweet emails and PMs) how much they have helped you and your family achieve variety in what is offered while also striving for less meal time stress and more feeding success. That was my aim and I am encouraged it has been achieved so far! That's also why I am officially giving the one month countdown. For the month of May, I will continue to share these weekly meal plans that so many of you are familiar with my doing. Come June 1st, my blog content will be shifting a bit to make room for an exciting new opportunity where my NEW meal plans will be housed each month! This is an exciting collaboration with other experts in my field and a resource that I know many of you will find even more helpful than the complete meal plans I am sharing in my weekly emails (join here, if you aren't already subscribed!). If you would like to be among the first to know what is coming, when to get in on it, and how to access such meal plans after this month at a discount (as well as tons of other helpful printables and guides! ), be sure to join the thousands of other mamas who already receive my newsletter. I will be sharing more updates and exclusive discounts to my most loyal followers there, and I would love for you to be a part! Curious - do you plan your family's meals around the main course/protein? Or do the veggies take center stage in your meal planning efforts? Send me a quick note to share! As I consider what we are making each month, it has me rethinking how I can highlight seasonal produce more in the coming months. I am excited to hear if and how this would be helpful to you! In honor of Cinco de Mayo this weekend, I am bringing back a fun reminder for how to make "one meal, two ways" via tacos! I previously shared a post for how to create a "Build Your Own Taco Bar" set up here. 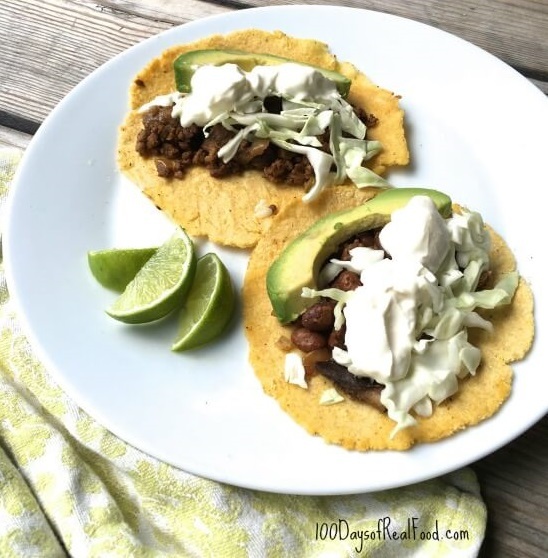 You can use the recipe for taco meat or meat alternative shared on the post, or any other favorite your family has for tacos! Whichever recipe you choose, I encourage you to try this type of set-up with your kiddos. It makes for a hands on meal that kids can customize however they'd like! Plus, as they become more adventurous in eating, they continue to try new flavor combinations and hopefully eat more veggies too! I love stir-fry but I loathe having to cut all those vegetables on busy nights before dinner. That's why I love having a bag of frozen veggies on hand, like this one I get at Costco or Costco's big bag of frozen organic broccoli! I have tried broccoli in this week's orange chicken and a veggie medley in the Cashew Chicken recipe (shared here) using both fresh-cut produce and frozen produce poured straight from these bags and don't know that I can notice a difference with either! Plus, frozen vegetables are often flash-frozen at their prime, so nutrients lost in freezing is not something to worry about. Do you keep frozen veggies on hand? Which are your families favorites? Admittedly, I haven't been doing a lot of meal prep in advance. Between being gone on the weekend and just straight tired on the Sundays I am home, I have been utilizing more shortcuts than my usual for meal prep. Be it pre-diced onion, jarred minced garlic, or the frozen veggies shared above, these are all easy and efficient ways to make this week's menu items easier to execute! Hey Hey! It is my birthday week, which also means it is officially one year since I started Veggies & Virtue LLC! So since nothing says "Happy Birthday" like a meal I don't have to make, we are going back to some of these tried-and-true Costco favorites for this week's EASY, EFFORTLESS meal plan! Knowing that we would be out of town visiting my mom and stepdad in Florida this week and into next, I wanted something EASY to come home to. For us, that means a Costco-run with lots of ready-made favorites. All I have to do is shop for the menu below, unload the groceries, and then reheat and/or assemble each night's dinner. This is exactly my kind of plan after returning home from a week away! Be sure to share or pin this post so that YOU can reference it later when you are returning home and wanting some effortless meal ideas already assembled! Interested in walking through my five steps to meal planning like a pro? Each ready-made item is available at Costco and included as a free download here. A lot of parents may assume there kids wouldn't eat "salmon salad ceasar salads" for dinner. But break it down in kid-friendly way by making preferred foods stand out with non-preferred foods, and this is a great family-friendly option with something everyone can enjoy! I get asked A LOT about what items I buy at Costco versus elsewhere, so I am going to share one I get asked about a lot: block cheese! It is so much more cost-effective to buy a large block of cheddar cheese and then to self-shred it. They have several varieties and brands at Costco; most coming in 2-pound loaves but all less-expensive in unit prices than what the equivalent cheese costs at the store. Shredding this cheese technically adds a prep-step to this week's meal plan, but I find that the result is such fresh, flavorful cheese compared to pre-shredded cheese bought in a bag (since often in that cheese, there are added fillers that act as anti-caking agents so the cheese appears nice and shredded vs as one big clump). What I do is shred one-quarter to one-half of the block at a time. I use our grater attachment on the food processor for this, so it keeps it super easy to grate up. Then, I usually store with a paper towel (just to be safe in case there is any moisture in the bag) in a bag with the shredded cheese. This allows us to have fresh shredded cheese on hand that's less expensive and tastes (and melts!) better! I find it stays fresh once shredded for easily a week in the fridge, allowing us to buy about one block a month instead of a smaller block at the standard grocer each week. get your copy of this free Costco dinner ideas download here! None! This week's meal plan is intended to be nearly effortless outside of making a trip to Costco in and of itself! Also, by stocking some of these staples at your home, you will have them on hand for future nights when you need easy meal ideas. 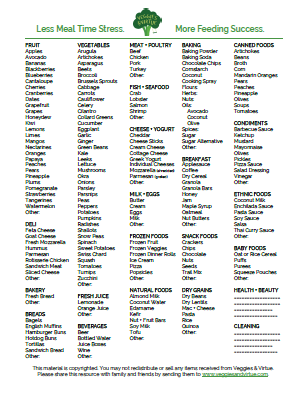 So be sure to put these items on your grocery list, or better yet - use either the free download or magnetic grocery list below to color-code which items you will pick up from Costco next time you go! I find it to be so helpful to use these to help organize which grocery items I need to buy where. We are heading out of town this week, so I won't make it through each of these meal ideas before we do. I love knowing these will be favorites for our Spring line-up though, as each are tried and true favorites around here whether we crave cold quinoa salad, grilling, an easy option in the oven, or a convenient take on fajitas in the crockpot. I hope the menu for this week offers you and your family some new favorites as well! We are excited to be diving into grilling season! Living in Houston, we are blessed to grill majority of the year. I know in terms of sharing these meal plans though, that many of you may lie in colder climates! So while we will still be busting out the Crockpot to save us from turning on the oven in Spring and Summer months, I am excited to also begin integrating more recipes that can be grilled! Made with salmon from our Fish Fixe delivery. Made with shrimp from our Fish Fixe delivery. Family Meal: Asian salmon, roasted red and sweet potatoes, an avocado strawberry spinach BYO salad bar, with half of a whole grain baguette from Angelic Bakehouse with Kerrygold butter. Served family style! My youngest ate all of her spinach/kale mix and my youngest ate the roasted sweet potatoes - each for the first time EVER! *I received our first Fish Fixe shipment for free. All opinions are my own. This post is unsponsored. Y'all know I tend to buy a lot of our animal products in bulk at Costco so I always have at least something in the freezer I can cook up on a whim. While I find the prices to be better on organic chicken, grass-fed beef, etc., I admittedly have never been a huge fan of the seafood I buy at Costco. I also don't always want to have to spend time standing at the seafood counter to watch and snag sales on local or higher-quality seafood on a weekly basis, especially since I do majority of my meal planning BEFORE I head to the store. That's why I got so excited when I heard of Fish Fixe. While it is local to me in Texas (hence the excitement over them offering Gulf shrimp! ), it ships anywhere to simplify how to keep quality seafood on hand and even better, in stink-free packaging. This is not a sponsored endorsement* (nor are any in this weekly product feature unless I disclose so), but rather a genuine mom-hack I feel has helped us to both eat AND enjoy seafood more since we got our first "fixe." Besides enjoying each of the seafood products we were sent, I am semi-obsessed with the packaging. It helps for mess-free food prep but also to give last minute meal ideas if I don't know what I want to do to prepare it. I love seafood, but admittedly don't always feel like I know how to cook it. So simplicity always wins and makes for a healthy, EASY meal in under 30 minutes with whatever simple sides we have on hand. 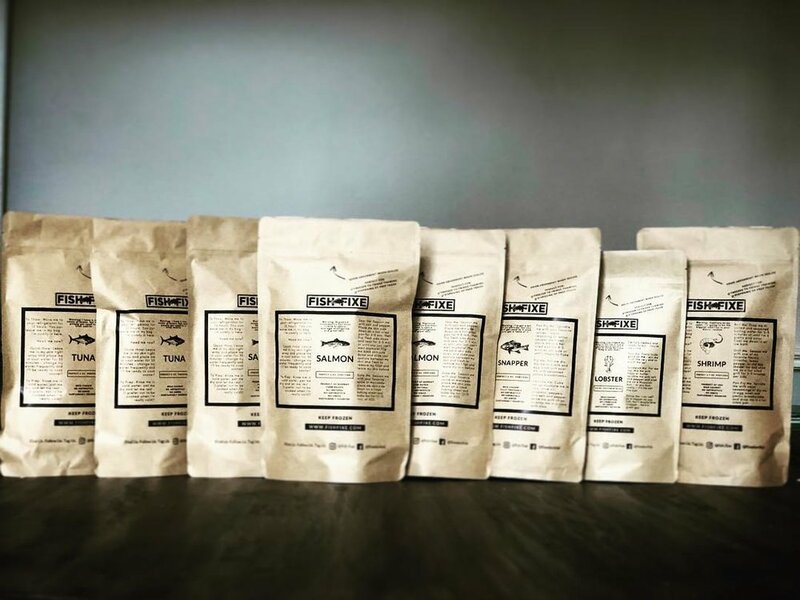 If you want to include more seafood in your family's meal rotation this Spring and Summer, hop on over to Fish Fixe and use code VEGGIESANDVIRTUE at checkout for $10 off your first order. I hope you enjoy this "fixe" to your seafood dilemma as much as I do! Chop veggies and make vinaigrette in advance. Cook and cool quinoa. Assemble in advance to eat over the week, or keep elements separate until ready to serve. Slice peppers, onions, and steak the night ahead so it can be tossed into crockpot in the morning. Shred cheese block, if needed. Remove Fish Fixe shrimp from freezer and thaw according to package instructions. Dice extra onion when cutting onion for fajitas. Thaw chicken. Prep sides, as needed, so all can be thrown in the oven together. Make rub in food processor. 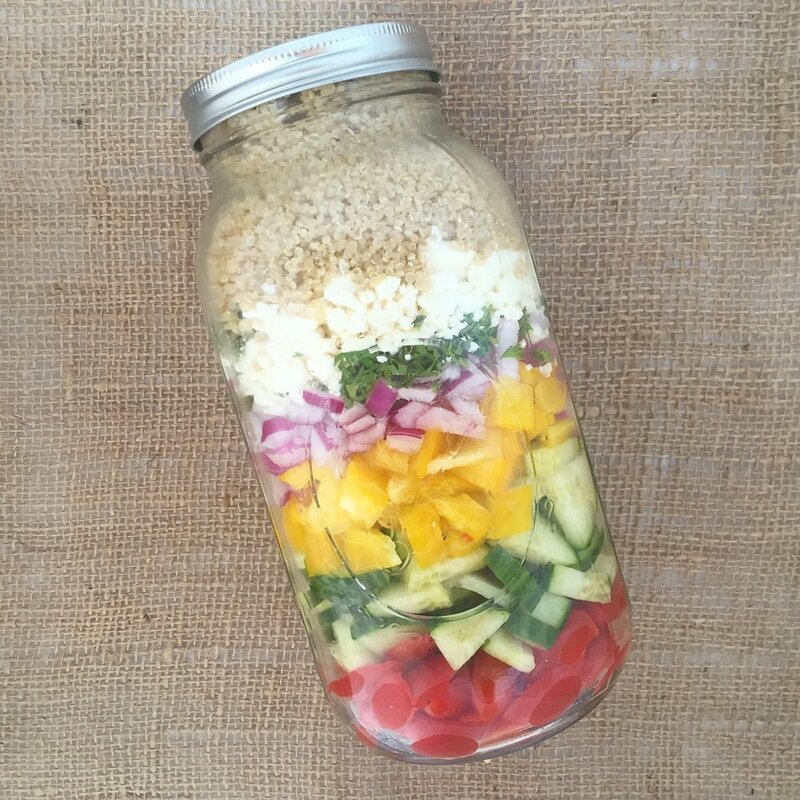 Store in a glass jar until time to cook. I hope you enjoyed the past four week's worth of dietitian-inspired meal plans! I know I loved getting to feature a few of my foodie-favorites with you all and trying many of their recipes myself! Now that Spring has officially sprung, I am going to be planning more of our menus on a quarterly basis. This means you will still get a new meal planning post each week, but it will also begin to reflect recycled recipes that are favorites for the season. This technique helps me in my home and I am confident is an approach that will help you and yours. It allows us to plan ahead in our prep, often batch-cooking recipes when we can or "cooking once, eating twice (or thrice!)" by freezing extra batches for upcoming weeks. I know not everyone has a deep freezer for copious amounts of extra food storage, but even if these are just recipes you learn to like and soon love, having go-to recipes in your wheelhouse makes picking what's on the menu so much easier IMO. I hope you'll agree! *Modifications recommended by a fellow dietitian friend. See comments under prep! After a month of other dietitian features in this section, I will again be switching up this section. It quickly became a FAQ section for all sorts of questions submitted by parents, which I love addressing! 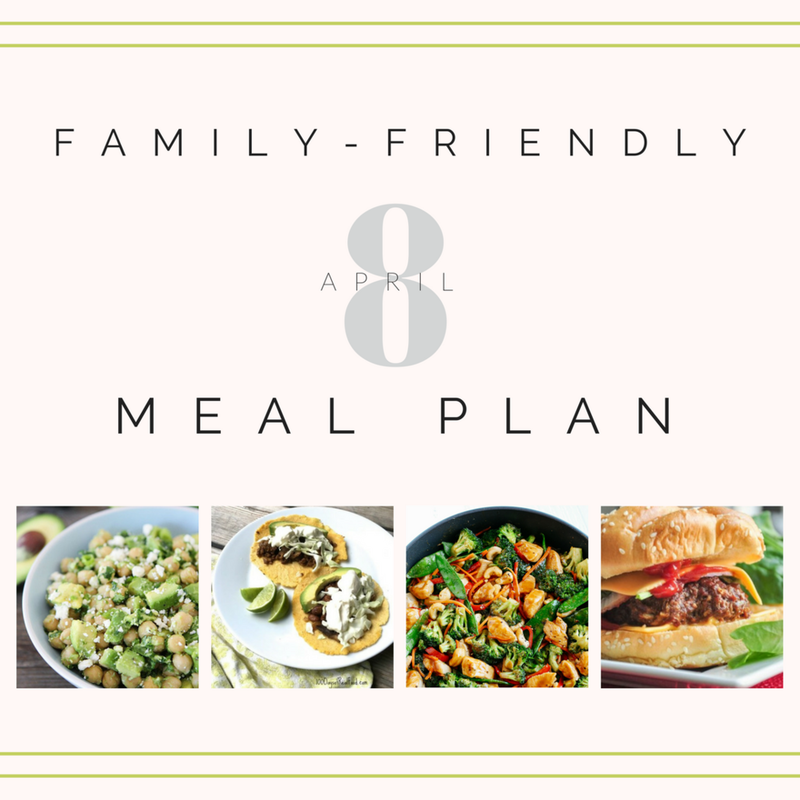 However, the aim of this section is to focus on how "pairing" what you offer with your meal plan each week can both help to accommodate for more apprehensive eaters while also ensuring that we moms making only ONE meal for the whole family. One of the main ways I do this is through the bonus content shared in my weekly newsletter. CLICK HERE TO SIGN UP. My newsletter subscribers benefit from seeing how EACH meal plan menu item is broken down with "Love it, Like it, Learning it" suggestions (based on my children's preferences). This is free for subscribers and removes the guesswork with what (or how!) to serve each of the weekly menu items. Sign up here to get these concrete ideas and simple examples in your inbox every Friday morning - requiring no additional effort from you! I will elaborate on this approach in this section each week, by featuring my upcoming "One Meal, Two Ways" posts. These will show you what both my plate and my child's plate look like at a given meal from the weekly meal plan. This will also be shown on my Instagram every Tuesday! Otherwise, the FAQ of the week I featured before will now be shared every Friday with "FAQ Fridays" on my Instagram. This will include the wide range of feeding, nutrition, and product-related questions that come in! If you would like your question to be featured, please subscribe here and reply to any of my once-weekly emails! I always value knowing what feeding struggles are stumping you and how I can help solve them. The best way for me to keep track of these is by email (not via PM on Instagram, please). Lastly, I now offer 30-, 60-, 90-, and 2-hour consultation packages. Ranging from a "Ask Me Anything" 30-minute Q&A to more comprehensive packages, please see my consultation options here if you have questions you would like me to address on a one-on-one basis. The noodles we are using in the recipe for "Pasta night" this week are this lentil-based pasta option from Trader Joe's, similar to pasta from well-known brands like Eat Banza. While we aren't personally fans of the black bean pasta option from Trader Joe's, this option in this recipe does really well. It is an especially great option if you have a carb-o-holic on your hands that wants pasta every night and yet may struggle to eat protein in standard forms! This is a more nutrient-rich option with the only ingredient being red lentil flour. Lentils, unlike refined wheat or even whole grain noodle varieties, are packed with plant-based protein and fiber. This will help your child not only meet their daily protein needs (13g protein per 3/4 cup! ), but also help boost their satiety through the added fiber and protein helping to fill them up between meals! Wash and cut cucumber and red onion while the cutting board is out for other veggie prep. Make vinaigrette in advance, or prepare whole salad and have on hand for the week. Cut red onion while the cutting board is out for other veggie prep (like night one). Chop garlic, cilantro, and jalapeno while cutting board it out. Make shrimp marinade in advance. Thaw shrimp, if needed. Make marinade in advance in a large ziplock bag. Thaw chicken (if needed). Wash and cut romaine while the cutting board is out for other veggie prep. Store with a paper towel in a large bowl until ready to use. Up to 3 days in advance, Wash and cut bell pepper, red onion, and olives while the cutting board is out for other veggie prep. Store separately from the romaine. Make marinade/dressing in advance. Thaw chicken, if needed. If preparing using Trader Joe's Red Lentil Sedanini, consider the following modifications (kindly shared from a fellow dietitian-friend who first shared this recipe with me): omit 1 cup water, use turkey sausage, and add a few handfuls of curly kale. Cook on Manual high pressure for 4 minutes!